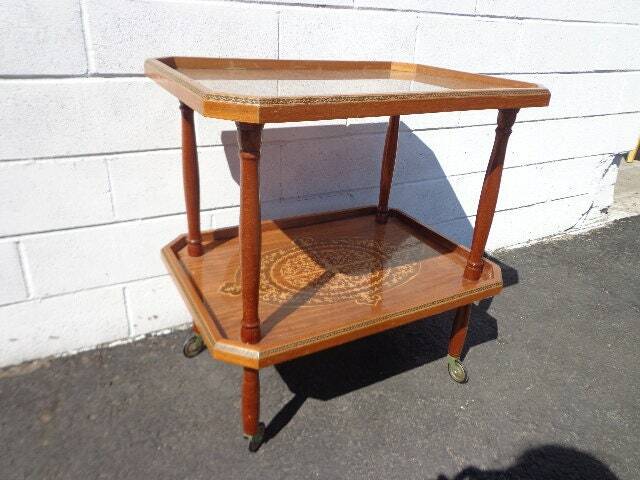 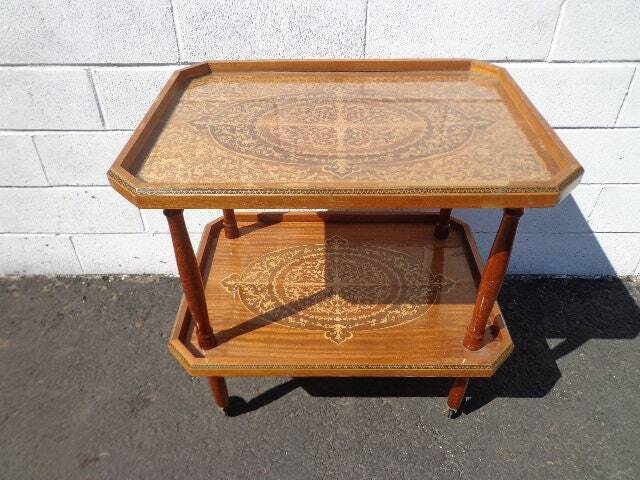 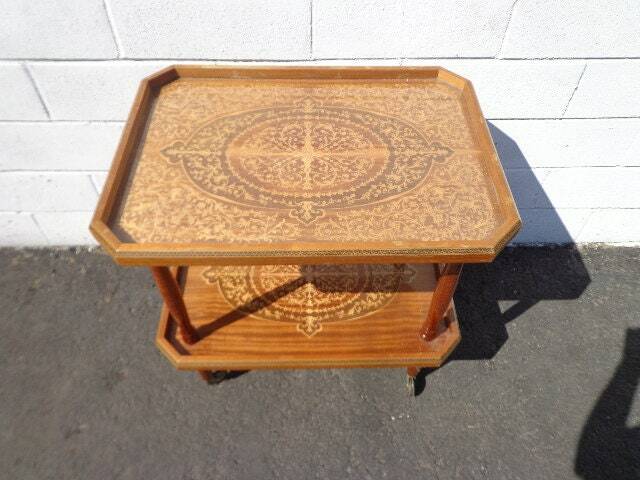 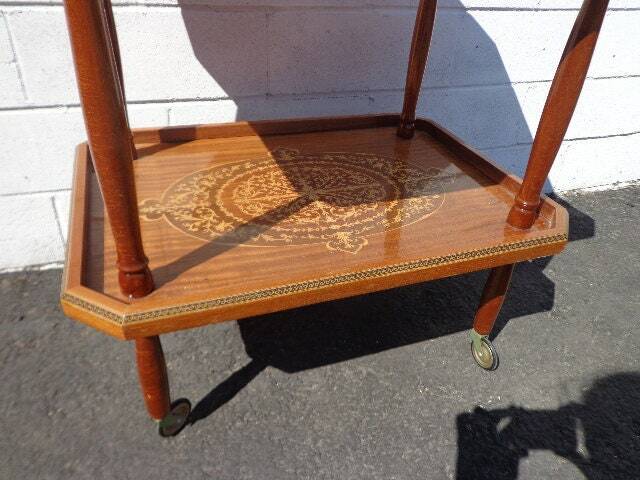 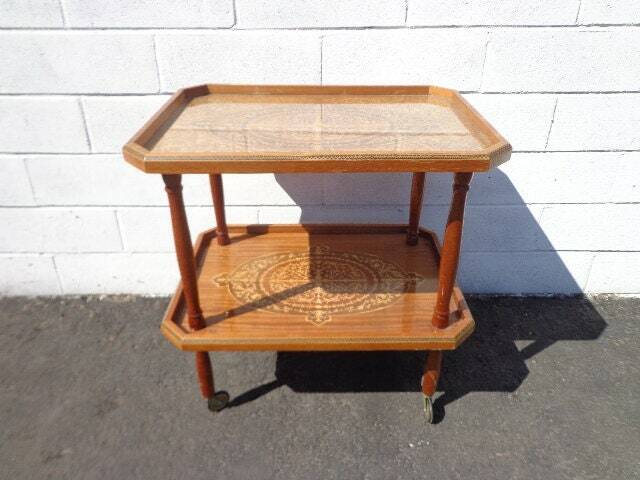 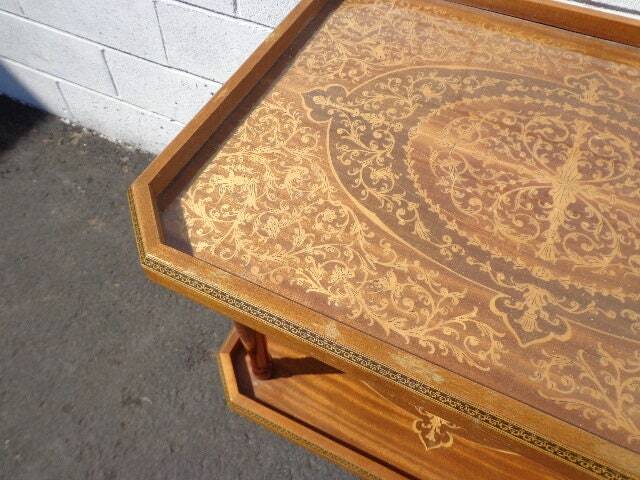 Fabulous and fun antique marquetry tea cart. 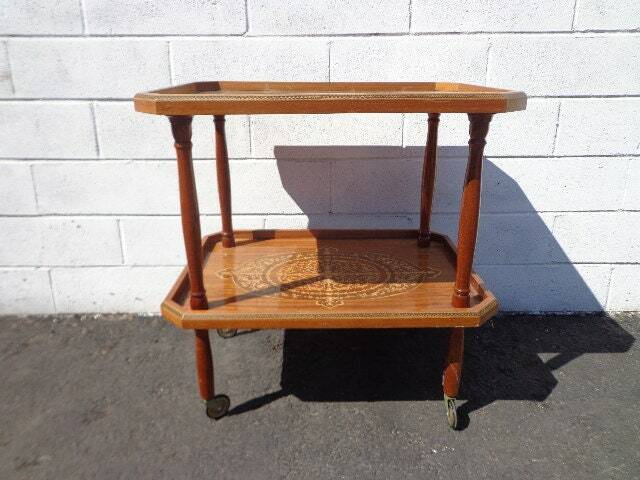 Perfect for any space, use as a tea cart , bar cart , liquor wine cart , server , small buffet , for parties , just about anything and will look great at the same time. 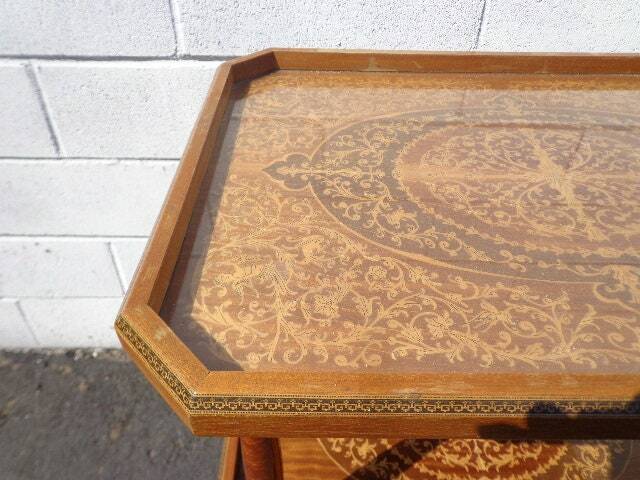 Detailed trim and beautiful, colorful wood inlay design. 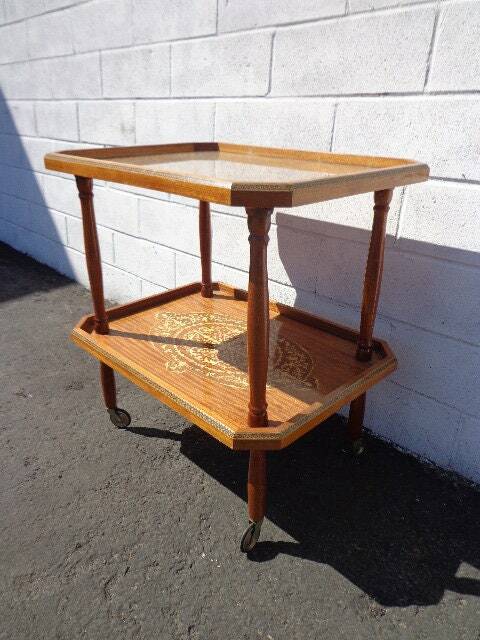 Set on the original casters. 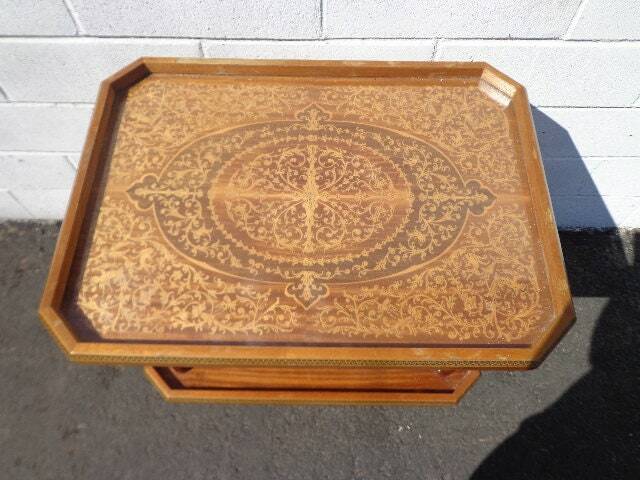 Dimensions: 25" x 18" x 26 1/4"